Dagmar Daley fashion update - free shipping offer! Dagmar Daley fashion update – free shipping offer! Just look at these sweet offerings for summer from Dagmar Daley! While it’s getting very cold here in Australia, it’s never too early to turn our eyes north for a taste of what’s to come. We also have a free shipping offer for you so step into the world of Dagmar Daley for a peek. My heart belongs to the ruched vintage sunsuit for girls but there are the most lovely sundresses in light, airy fabrics for hot summer months. We last wrote about the fashion from Dagmar Daley in November 2010 when we took a look at the winter ranges for boys and girls. 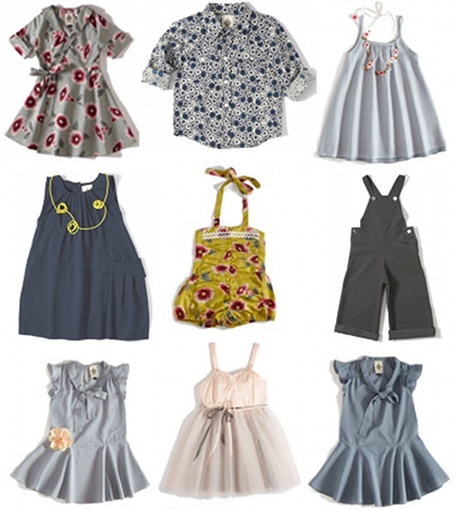 Also tailored to perfection are the sweet overalls, cowboy shirt and Ruby Sparkle Dress. Made for everything a kid wants to do in a day, from the playground to dinner out, the clothes by Dagmar Daley will be a must this summer so stock up now. Arte Bebe has free shipping on clothes only for orders over US$120 – Promo code “ABOLOGY”. Offer valid until May 31. Now you can really take advantage of the exchange rate – get some friends together to make an order and free shipping is yours!